Man’s conscience, like that of his physical body, is created by God. It is therefore in its very nature to depend on Him for being and for operation. The capacity to be and act in and of oneself is an incommunicable property of the Deity. It can never be imparted to a creature. God alone is the source and sustainer of all life; it is His constant regenerating power that keeps the conscience alive. 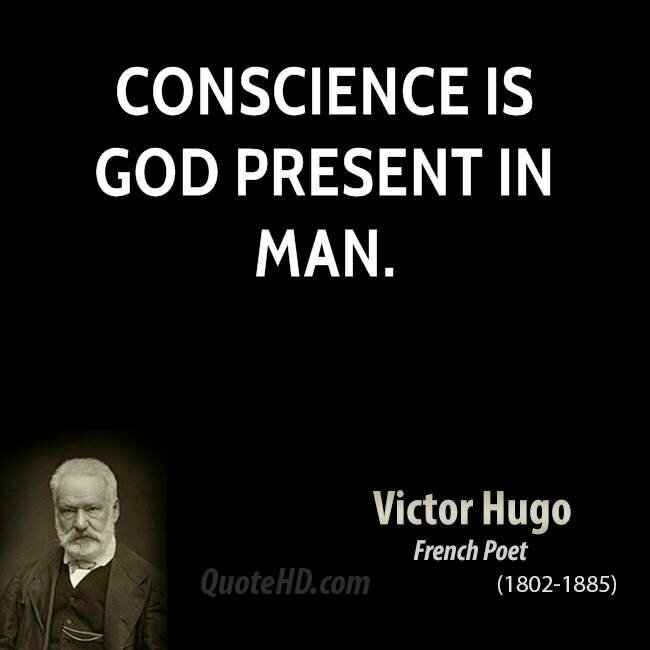 Conscience may be defined as that divine influence at work in man to restrain him from sin. One evidence of its origin is that it always speaks against sin and for righteousness. Therefore, it cannot be the product of our own hearts, which in their fallen state are ‘deceitful above all things’ (Jer. 17:9). God uses the conscience to give some knowledge of His righteousness to all, so that no one can stand before Him on the Day of Judgement and plead ignorance. (Romans 1) When you become a Follower of Yeshua the Messiah (Jesus Christ) and consecrate yourself – conscience and all – to Him, the Holy Spirit begins in earnest to perfect you in Christ. It is said when God made the world He ended His work of creation – that is, He made no more new species of creatures. Yet to this day He has not ended His work of Providence. ‘My Father worketh hitherto,’ Christ said (John 5:17). In other words, He continually preserves and empowers what He made with strength to be and to act. A work of art, when completed, no longer needs the artist, nor a house, the carpenter when the last nail is in place. But God’s works on behalf of both the outer and inner man are never off His hands. If the Father’s work is a preserving one, the Son’s is a redemptive one. Both acts are perpetual. Christ did not end His work when He finished creation. God rested at the end of creation; and Christ, when He had wrought eternal redemption and ‘by Himself purged our sins, lay down *(rested) on the right hand of the Majesty on high’ (Heb. 1:3). From there He continues the work of intercession for the Followers? And thereby keeps him from certain ruin. ♡ There are certain subjects in which we must have an answer that is steadfast in truth. 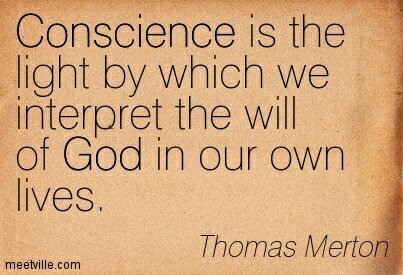 How would you define conscience in your own words? ♡ Do you see the correlations between the softening of your heart (and/or hardening) as the work of God in your conscience? ♡ How many days of the week are set aside for us to ‘do God’s work’? ♡ Do you see that resting is then the ‘work’ we do on the Sabbath? (Or day of rest as God prescribed from the beginning as part of our directions for living). ☆ Our rest or resting is part of our worship to Him. We rest in His work. Give ourselves to recalling all the ‘work’ He had us do the week prior. .. not our work but His. Work of walking with Him, stretching out to know Him and witnessing to all about the process of our individual experiences of following Yeshua</em>. How He uses our conscience to redirect us when we stray and to enlarge the territory of our understanding of His ways.